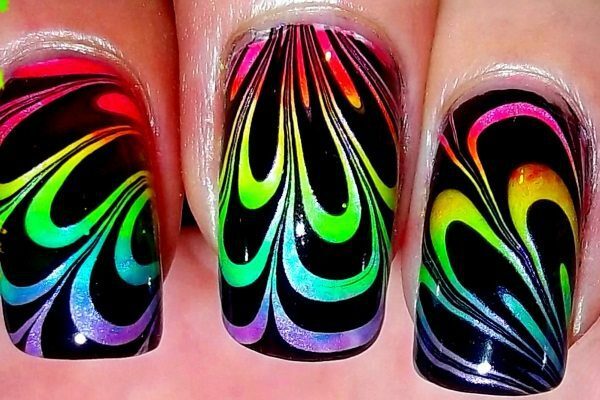 Water marble nail art is one of those nail art techniques that looks absolutely amazing! 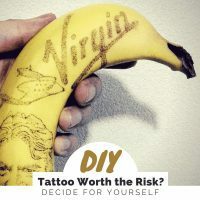 It may look like it takes tons of time and patience to get this look, but in reality, it’s actually a relatively easy and quick nail art design to do once you get the hang of it. 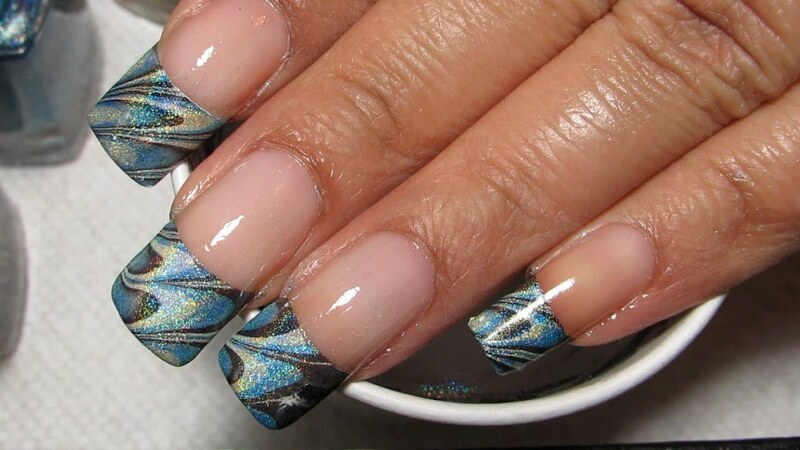 Water marble nails look pretty great on their own, there’s no doubt about that. 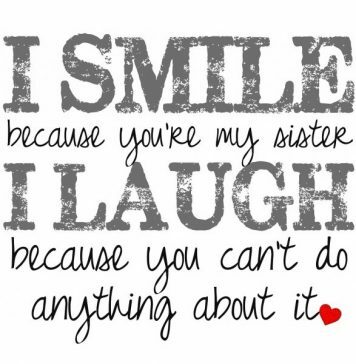 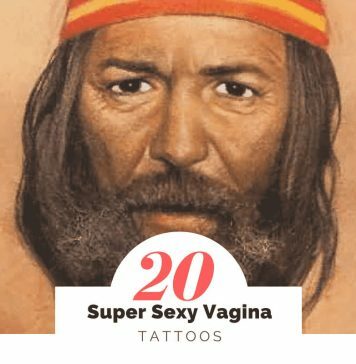 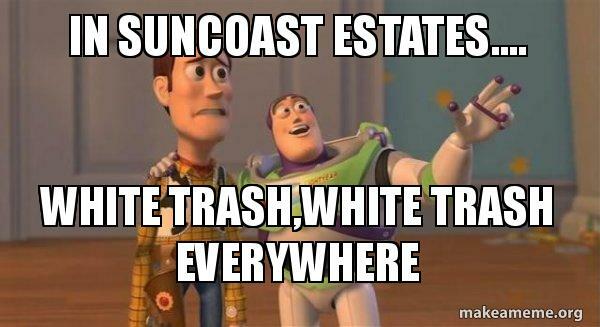 But, a little extra work can turn them into fabulous pieces of art in their own right! 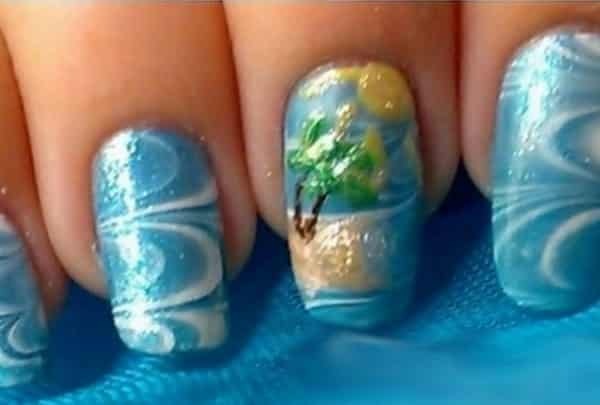 Take a look at these creative water marble nail art designs to see what I mean! 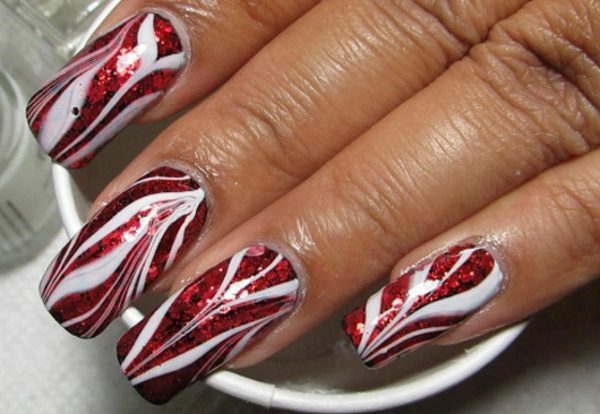 A quick glitter top coat is a fast and simple way to jazz up a water marble nail art design! 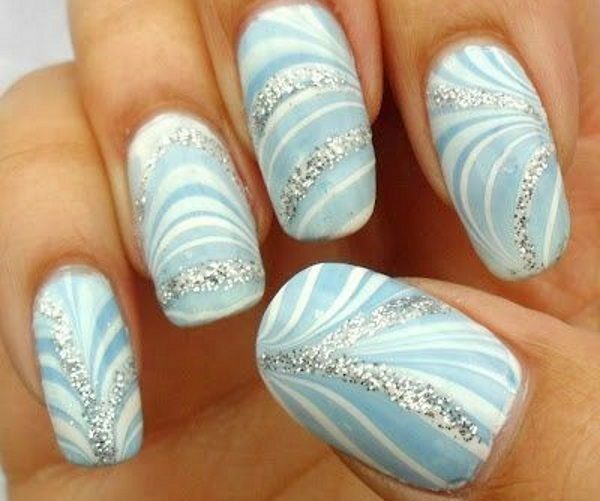 Use a thin nail brush to add some stunning silver accents to really make your water marble nail design pop! 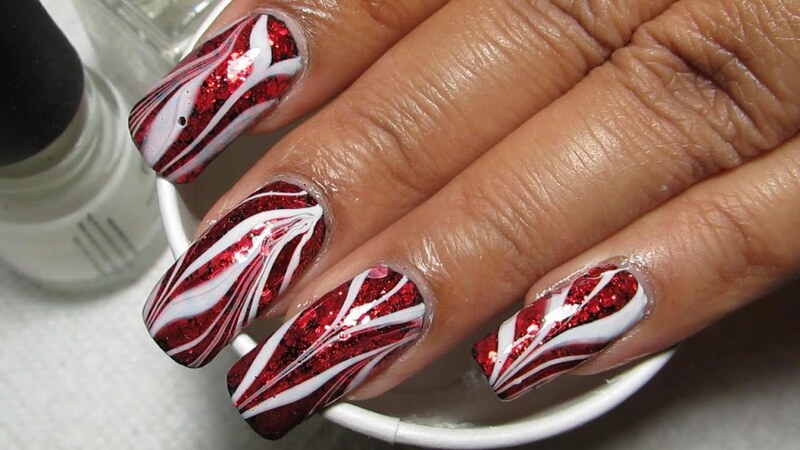 A white water marble design looks pretty amazing over a gorgeous glitter polish! 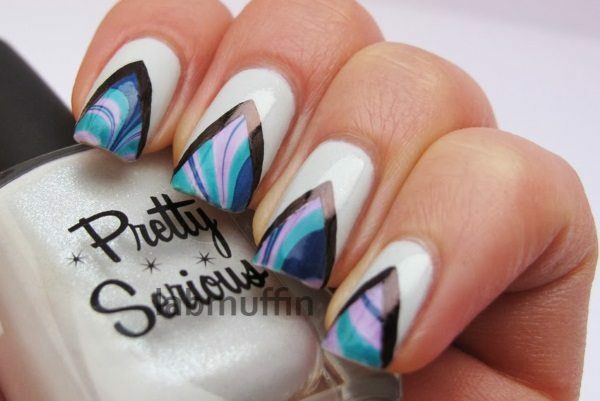 Homemade water marble decals make for an interesting chevron nail art design! 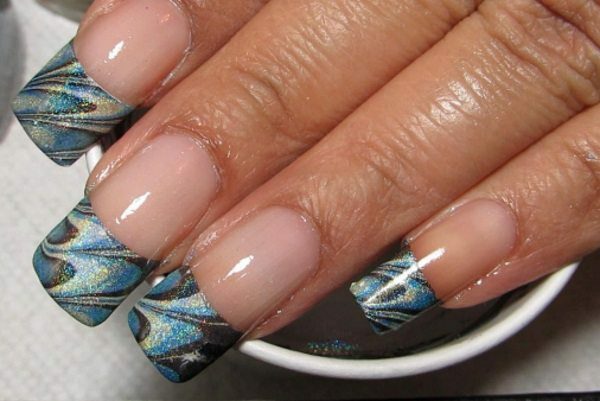 Water marble nail art can really look pretty amazing on just the tips of the nails. 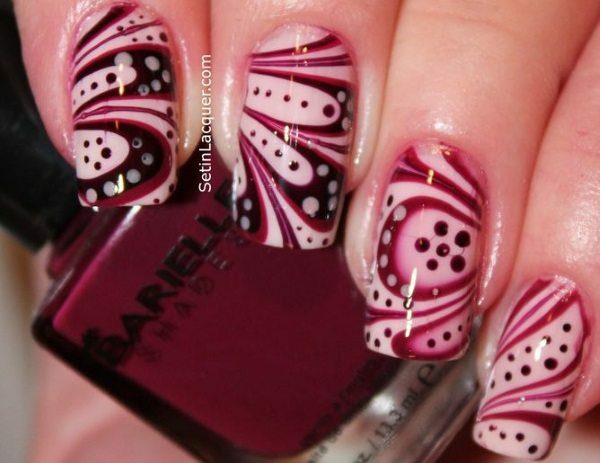 It’s pretty amazing how some simple polka dots can transform some water marble nail art into something more! 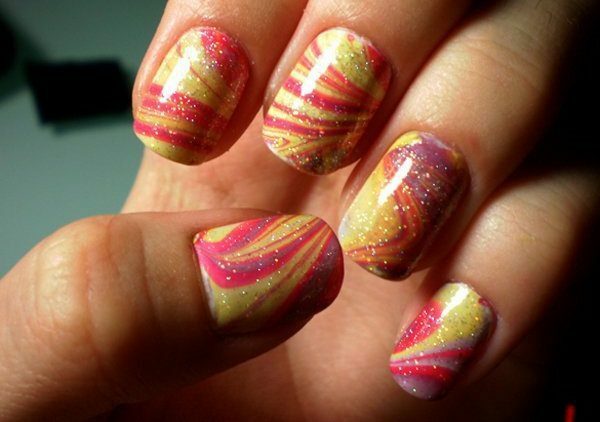 A colorful gradient nail art design makes an awesome background for a water marble nail design! 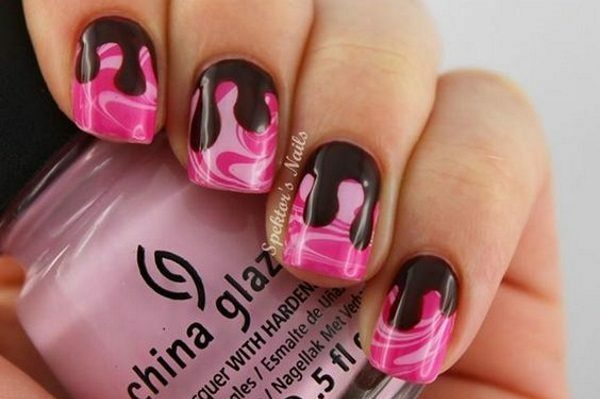 Add a dripping nail art design to water marble nails for an unexpected and interesting surprise. 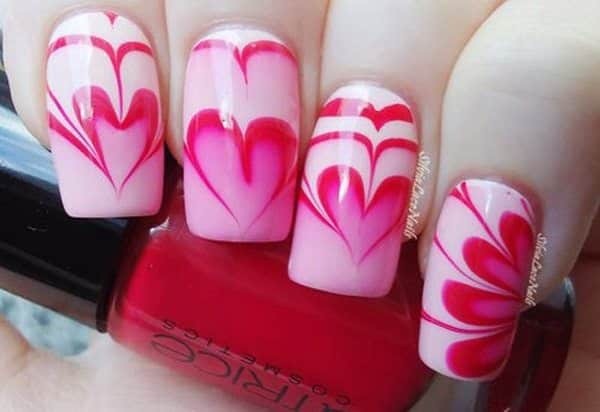 With a little patience, you can drag the nail polish on top of the water into a heart design. 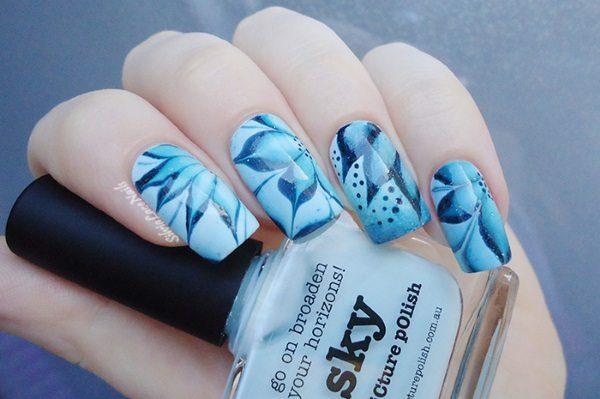 Water marble nail designs can also be created to look like flowers. 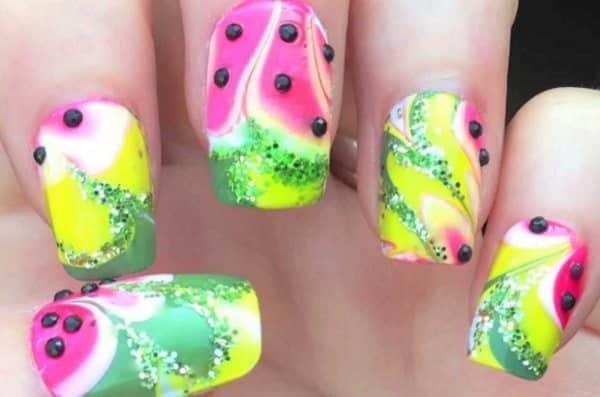 Some black rhinestones turn these pink and green water marbled nails into some wicked cool watermelon nails for summer! 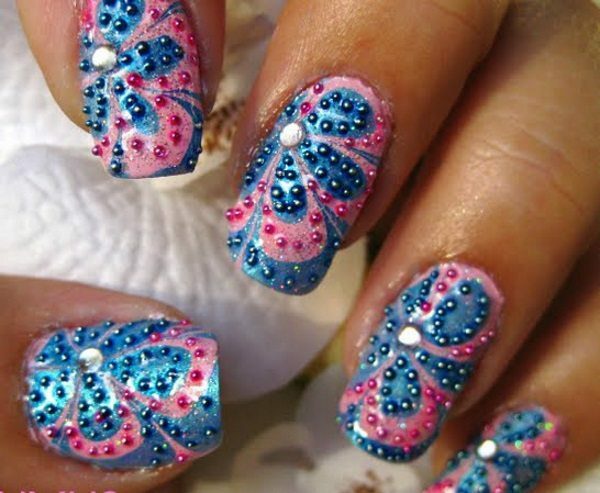 The addition of microbeads and rhinestones can add an interesting look and texture to water marbled nails. 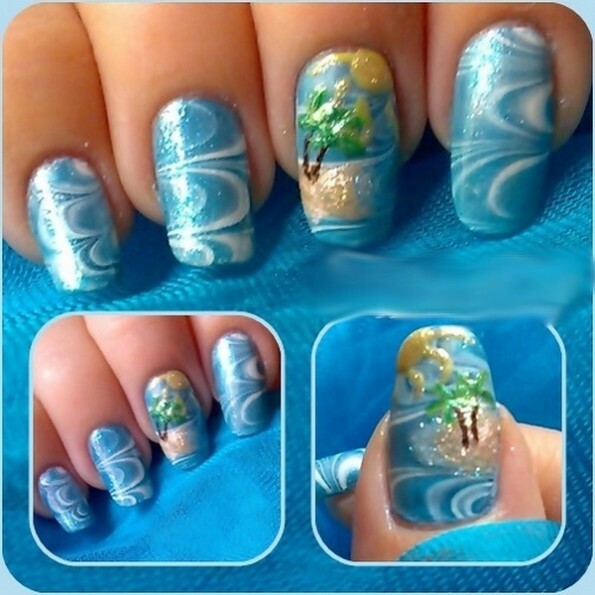 A cute painted tropical island transforms blue water marbled nails into an awesome beach scene!